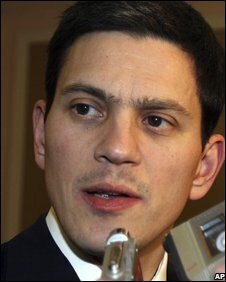 British Foreign Secretary David Miliband is holding talks with the Syrian President Bashar al-Assad. The visit, the first to Damascus by a top-level British official since 2001, is part of a tour that includes Israel, the West Bank and Lebanon. Mr Miliband told that Syria had a role to play as a force for stability in the Middle East. The visit is the latest in a run of exchanges between Syria and European nations aimed at easing tense ties. It comes a month after Mr Miliband met Syrian Foreign Minister Walid al-Moualem in London for talks. Building mutual understanding between the UK and Syria was important, Mr Miliband told . “Syria has a big potential role to play in stability in the Middle East – it can be a force for stability or it can be a force for instability,” he said. Mr Miliband will meet the Syrian president and other top officials on Tuesday morning, before flying on to Lebanon. Syria has faced diplomatic isolation since the assassination of former Lebanese Prime Minister Rafik Hariri in 2005, even though it denies any role in the killing. It has also been shunned by the US because of its ties with Iran, the Palestinian group Hamas and the Lebanese Shia political and militant movement Hezbollah. But European nations, led by French President Nicolas Sarkozy, are now initiating steps to bring Syria back into the international fold, arguing that engagement is the way forward. On Monday David Milliband visited Israel and the West Bank for talks with top leaders. He called on both Israelis and Palestinians to maintain the five-month-old ceasefire in Gaza, following recent outbreaks of violence that have triggered an Israeli blockade of the territory. Viewpoint: McCain the new Sarkozy? In France, Nicolas Sarkozy won by successfully breaking from – and even, in a sense, running against – a president of his own party, the disgraced and out-of-touch Jacques Chirac. In a similar way, John McCain is attempting to mount a Sarkozy-style “second-stage” succession to a Republican Party that has also come to be seen as disgraced and out-of-touch. He has a lot to run against. When things start to go wrong for a political party – as they did for John Major and the Tories in the 1990s – everything seems to go wrong at once. How this has happened to the Party of Lincoln, Roosevelt and Reagan is worth revisiting. The Congressional Republicans could have opted to try to win a permanent majority by devising market-based solutions to healthcare or portable pensions that might have won the lasting allegiance of the American people. Instead, the GOP leaders in the House and the Senate were content to tinker at the edges of policy. They aped their Democratic predecessors by using earmarks and other means to reward special interests, reaping huge advantages in campaign donations as a means of holding onto power. As a result of this change in mindset, the party of probity became the party of disgrace – with more than one leading member in prison or under investigation for various forms of graft. That there are ample specimens of venality on the Democratic side provides no cover. Voters expect better from Republicans – especially after a series of Democratic scandals that Republicans promised to clean up. So Republicans started with a good start under Newt Gingrich promising to bring reform and business-like efficiency. As a result, when Republicans came to resemble what they opposed, voters came down on them twice as hard when they disappointed. The result is that Congressional Republicans have neither honour nor a majority. Republican primary voters, disgusted by the direction their party had taken, selected John McCain in a populist backlash. 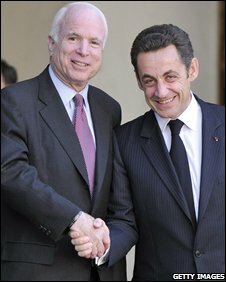 McCain, with decades of spirited and often lonely opposition to pork, influence and back-scratching of all sorts, is the ideal candidate to pull a Sarkozy. By returning to their ideals, Republicans selected the one candidate who could actually pull off such a hat-trick. Two weeks ago, the race against Barack Obama was, then, following a familiar course. McCain had successfully identified himself as a reformer – shedding Republican political baggage. Obama was set for certain loss. The reasons for this are simple to see. For decades now, it has been virtually impossible for a liberal candidate to win an Electoral College majority. The most liberal candidate of all, George McGovern, received 17 electoral votes against Richard Nixon’s 520 in 1972. Defeat has befallen other liberals – Adlai Stevenson, Hubert Humphrey, Walter Mondale, Michael Dukakis, Al Gore and John Kerry. John F Kennedy with his strident anti-communism and tax cuts, won as a conservative Democrat. Bill Clinton won as the candidate of the centrist Democratic Leadership Council, and won re-election after ending traditional welfare and presiding over a surplus. Jimmy Carter won as a budget-conscious conservative, only to lose when he governed as a liberal. Lyndon Johnson won as a successor to JFK. Had Obama moved to the middle – and chosen a conservative, defence-minded Southern conservative like former Senator Sam Nunn, or even an independent Republican like Senator Chuck Hagel of Nebraska – he would be in a much stronger position. Instead, Obama chose a dependable, North-Eastern liberal in Joe Biden. Obama has eschewed “third-way” politics, and stuck to defining his brand of change in terms of simple replacement of all things Bush with liberal orthodoxy on almost every issue. If presidents were selected by popular vote, Obama might be able to drum up enough enthusiasm in California, New York and a handful of other populous blue states to win. The picture is much bleaker for Obama in winning an electoral college majority in which so many states are dominated by rural issues and cultural concerns (like prayer and guns) alien to the sensibilities of an urban liberal. This was the expected state of play. However, American elections are notorious for turning on an October surprise. This time, we have prematurely had three such surprises in August and September. And they have shaken up this race and made the result suddenly unpredictable. Two surprises gave McCain a boost in the polls. The first was the violent re-emergence of Russia as a revanchist power, reminding the American people that we live in dangerous times. It seemed better to trust a crusty war-veteran than the untested, sleek, metrosexual Obama. The second surprise was an artificial one – McCain’s calculated selection of Sarah Palin. McCain’s campaign enjoyed great success in baiting Obama into several days of exchanges with his running mate – a project that diminished Obama and knocked him off message. 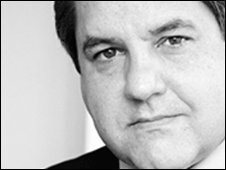 Mark W Davis is a long-time Republican adviser, a former speechwriter for George Bush senior, and currently senior director of the Washington-based White House Writers Group. This is one of a series of comment and opinion pieces that the BBC News website will publish before the election. Now the third surprise has come – the near-collapse of US credit markets and an economic crisis widely termed the most serious since 1929. This crisis upsets all that had happened before and returns Obama to his preferred field of battle – the economy. McCain took the high-risk approach of suspending his campaign and running to Washington. Today, McCain looks less like Sarkozy and more like Sisyphus, shouldering the burden of an economic collapse seemingly without end. Does this game-changer open the way for an explicit liberal to make history and take the White House? Or will McCain be able to fight and win with the economy front-and-centre? McCain might do so if he – and other Republicans – are more aggressive in pointing out how Democrats coddled and protected the private-gain, public-risk model of the mortgage giants Fanny Mae and Freddie Mac that enabled this crisis. If he can do this, McCain might still pull a Sarkozy. 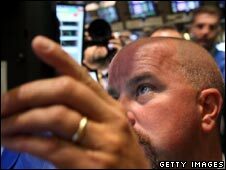 Or will some new event re-orient the race with yet another sudden, stupendous domestic or foreign challenge? After all, it is not yet October. There is still plenty of time for more surprises. Russia is becoming increasingly authoritarian at home and aggressive abroad, US Secretary of State Condoleezza Rice has said. In a strongly-worded speech, Ms Rice said Moscow was on a “one-way path to isolation and irrelevance”. Diplomatic relations between the US and Russia have been strained by the recent conflict in Georgia. Dmitry Medvedev said it would be “politically short-sighted” if Washington and Moscow were to endanger their political and economic ties. However, Ms Rice suggested in her speech that following the conflict in Georgia, Russia’s bid to join the World Trade Organization had been put in doubt. The US has already shelved a civilian nuclear deal with Russia, but despite tensions the two countries are maintaining diplomatic links. Ms Rice held a telephone conversation with Russian Foreign Minister Sergei Lavrov just hours before delivering her speech, and Russia is also due to join an international meeting on Iran’s nuclear program on Friday. Our correspondent says Moscow is also telling the US that its co-operation is needed over issues like Iran and North Korea, with many in Washington feeling the Russians have a point. Several hours after Ms Rice spoke, it emerged that a Russian submarine test-fired an intercontinental ballistic missile capable of carrying nuclear warheads. An official from Russia’s defence ministry is quoted as saying that the test – carried out in Russia’s far-eastern Kamchatka peninsula – went according to plan. Speaking at an event organized by the German Marshall Fund in Washington, Ms Rice acknowledged that Georgia had fired the first shots in the breakaway region of South Ossetia. “The Georgian government launched a major military operation into Tskhinvali [the capital of South Ossetia] and other areas of that separatist region,” she said. “Regrettably, several Russian peacekeepers were killed in the fighting,” she added. But Ms Rice said that Russia had escalated the conflict. “Russia’s leaders violated Georgia’s sovereignty and territorial integrity and launched a full-scale invasion across an internationally recognized border,” she said, adding that Russia had also violated the terms of a ceasefire negotiated by French President Nicolas Sarkozy. Ms Rice said it had been “deeply disconcerting” that Russia had tried to “dismember” Georgia by recognizing Abkhazia and South Ossetia, and argued that Russia’s actions were part of what she described as a “worsening pattern of behavior”. “I refer… to Russia’s intimidation of its sovereign neighbours, its use of oil and gas as a political weapon… its threat to target peaceful neighbours with nuclear weapons… and its persecution – or worse – of Russian journalists and dissidents,” she added. Pledging help to rebuild Georgia, Ms Rice said the US and Europe would not let Russia benefit from aggression. Ms Rice admitted that Georgia could have responded better to the events last month in South Ossetia. “We warned our Georgian friends that Russia was baiting them, and that taking this bait would only play into Moscow’s hands,” she said. However Ms Rice, an expert on the Soviet Union, also said that Russia could not blame its behavior on the enlargement of Nato. The promise of Nato membership had been a positive incentive for states to build democratic institutions and reform their economies, she added. And she insisted that Russia would not be allowed to dictate who joined the Nato alliance. The secretary of state was also critical of the domestic situation inside Russia. “What has become clear is that the legitimate goal of rebuilding Russia has taken a dark turn – with the rollback of personal freedoms, the arbitrary enforcement of the law [and] the pervasive corruption at various levels of Russian society,” she said. Russia’s leaders were risking the future progress of the Russian people, she said, declaring that Russia’s leaders “are putting Russia on a one-way path to self-imposed isolation and international irrelevance”. Singer Carla Bruni, the wife of French President Nicolas Sarkozy, has given a rare performance, appearing alongside rock bands Metallica and Kings of Leon. The acts were all on UK music TV show Later… with Jools Holland, where Mrs Bruni-Sarkozy told the host her husband was “very kind” about her music. “I play it at home and I disturb him with it in the middle of the night,” the 40-year-old former model said. She married Mr Sarkozy in February and released her third album in July. The TV show, starting its 33rd series, is renowned for its eclectic mix of music. Mrs Bruni-Sarkozy tapped her foot and clapped as heavy metal monsters Metallica performed tracks from their number one album Death Magnetic. But their music could not be further apart, with Mrs Bruni-Sarkozy’s sultry, breathy chanson style evoking Parisian cafes, while Metallica normally soundtrack sweaty stadiums. As well as the French first lady and Metallica, the program also featured the group at the top of the UK singles chart – Tennessee blues-rockers the Kings of Leon. One edition of the show went out live on Tuesday, while another extended version was filmed to be broadcast on BBC Two on Friday. Jools Holland, the former Squeeze musician turned TV host, interviewed Mrs Bruni-Sarkozy for both shows. Her appearance came just days after she met Pope Benedict XVI, while she has also accompanied Mr Sarkozy meeting dignitaries such as the Queen and the Dalai Lama in recent months. During the live episode, Holland asked what it was like mixing her roles as a singer-songwriter and president’s wife. He was involved in her music but did not act like a critic or a fan, she said – and it did not “drive him mad” when she played it in the middle of the night. Wearing an elegant trouser suit, Mrs Bruni-Sarkozy performed one song, Tu Es Ma Came, on the live show. It was about “being addicted to someone in a toxic way and in a lovely way”, she said. But she has said 95% of her latest album was written before she met Mr Sarkozy. During the interview for Friday’s show, she gave further insights into her new life. “I have my husband’s world,” she said. “It’s like I just try to be with him and be cool about it and not change everything I know and my way of living. She then accompanied Holland on a version of US blues singer Bessie Smith’s song Nobody Knows You When You’re Down and Out. Mrs Bruni-Sarkozy’s latest album, Comme Si De Rien N’Etait, went straight to number one in France. It came six years after her first release, Quelqu’un M’a Dit, which sold two million copies around the world. She had previously said she would not play any more live shows for security reasons until her husband leaves his job. Mrs Bruni-Sarkozy was given a warm reception, but the biggest cheer of the night went to Metallica, who closed the recorded show with their 1991 piledriver Enter Sandman. The other acts on the bill were UK rapper Sway, New Jersey singer-songwriter Nicole Atkins and British pop newcomer VV Brown. French commandos have freed two sailors seized by pirates off the Somali coast, the French presidency has said. One pirate was killed in the operation and another six captured, it said. The couple were seized in a sailing boat in the Gulf of Aden earlier this month by pirates who reportedly wanted a ransom of some $1.4m (£0.8m). President Nicolas Sarkozy said the French operation should serve as a warning, and called for international efforts to counter escalating piracy. The waters off Somalia, which is wracked by conflict, are among the most dangerous in the world. Attacks by pirates are common and hamper the delivery of food aid. In the latest reported incident, a Hong Kong-owned tanker was seized late on Monday in the Gulf of Aden. International Maritime Bureau (IMB) Piracy Reporting Center told the AFP news agency that 22 crew members were taken hostage. French commandos launched a similar raid against Somali pirates in April. 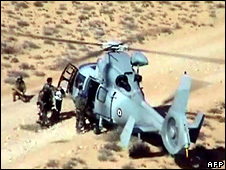 President Sarkozy said the 30-man operation had taken just 10 minutes. He said he had given the go-ahead late on Monday when it was clear that the pirates were heading for the lawless port of Eyl, where many well-armed pirate gangs are based. He said it would have been too dangerous to free them if they arrived in Eyl, reports Reuters news agency. A minister in the semi-autonomous Puntland region recently told the BBC that when he visited Eyl, he could see at least 10 boats being held by pirates there. “The two French nationals are safe and sound,” the French statement said. Tahiti-based sailing enthusiasts Jean-Yves and Bernadette Delanne were on their way from Australia to France, through the Gulf of Aden, when they were captured on 2 September. Attacks against fishing boats, cargo ships and yachts have surged over recent months and foreigners, who can be exchanged for large ransoms, are frequent targets. Warships from France and other nations have been patrolling the Somali coast to protect ships carrying aid to the country, where up to a third of the population needs food aid. On Monday, European foreign ministers agreed to set up a “co-ordination unit” to improve security patrols. France, which holds the rotating presidency of the European Union, has a military base in neighbouring Djibouti. In April, French commandos made six arrests in a helicopter raid on Somali pirates after they had been paid a ransom to free the crew of another French yacht. The six seized alleged pirates were handed over to French justice officials to be tried. According to Reuters, the pirate group holding the Delanne couple were also demanding the release of their compatriots held in France. Authorities in the semi-autonomous northern region of Puntland welcomed the French move. Puntland’s administration claims it is powerless in the face of the growing power of the pirates, who are well-armed and employ a lot of people. “The state of Puntland encourages such steps and calls on other governments whose nationals are being held to do the same thing the French have done,” Puntland presidential adviser Bille Mohamoud Qabowsade told AFP. The IMB says pirates off Somalia use “mother ships” that travel far out to sea and launch smaller boats to attack passing vessels, sometimes using rocket-propelled grenades (RPGs). Somalia has been without a functioning central government for 17 years and has suffered from continual civil strife. Battles between Islamist insurgents and Ethiopian-backed government soldiers have forced hundreds of thousands of people from their homes in the last 18 months. Pope Benedict XVI has told tens of thousands of pilgrims in the southern French town of Lourdes that love can be stronger than all the world’s evil. The 81-year-old pontiff gave the homily during an open-air Sunday Mass at the highly-revered Roman Catholic shrine. Benedict is in Lourdes to mark the 150th anniversary of what many Roman Catholics believe was a vision of the Virgin Mary by a young local girl. On Saturday, he also celebrated an outdoor Mass in the capital, Paris. 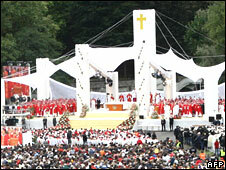 More than 200,000 pilgrims made the trip to Lourdes for Benedict’s first papal Mass at the shrine. The pontiff is making a three-day pilgrimage to the sanctuary, which is visited each year by six million believers. Benedict looked elated and moved by the rapturous welcome he received from the crowds – some of the faithful had queued through the night to make ensure their place. Security has been tight, with more than 3,000 police officers drafted in to the area. After his arrival at the shrine, in the foothills of the Pyrenees, Benedict prayed at the Grotto of Massabielle, also known as the Cave of Apparitions. 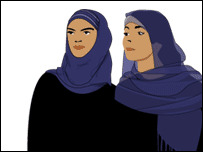 The riverside site is where 14-year-old peasant girl Bernadette Soubirous told local clergy in 1858 the Virgin Mary had appeared to her. When he arrived on Saturday night, Benedict also drank water from a spring that believers say has miraculous healing powers. Saying Mass from under white canopies shaped like sails, the Pope told his listeners to be true to their faith because “it tells us that there is a love in this world that is stronger than death, stronger than our weakness and sins”. 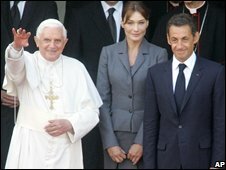 Pope Benedict arrived in Paris on Friday for his first visit to France since becoming Pope in 2005. 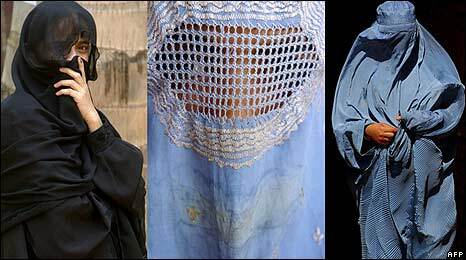 He was welcomed by French President Nicolas Sarkozy, whom he praised for promoting the role of religion in society. France staunchly upholds a 1905 law that enshrines the separation of Church and state, but Mr Sarkozy has supported efforts to ease the country’s strict secularism law. France is a Roman Catholic country but Sunday Mass attendance is now below 10%. Before his visit, a French newspaper poll showed that more than half of those questioned had a positive view of the Pope. Russia has conditionally agreed to remove its forces from Georgian land – excluding Abkhazia and South Ossetia – by the second week of October. Russian President Dmitry Medvedev said the pull-out would happen once 200 EU monitors deployed to South Ossetia. Speaking after meeting French President Nicolas Sarkozy, Mr Medvedev said the withdrawal was dependent on guarantees that Georgia would not use force again. But he made no mention of withdrawing troops from South Ossetia or Abkhazia. And he defended Russia’s controversial decision to recognise the independence of both breakaway regions, saying the move was “irrevocable”. Among the measures announced after the Moscow talks, Mr Medvedev said there would be international talks on the conflict, which would take place in Geneva on 15 October. And Russia agreed to remove a key checkpoint from near the port of Poti within a week. Again Mr Medvedev made the pledge conditional on Georgia signing a pledge not to use force against Abkhazia. Afterwards he said the EU delegation had handed him a letter, signed by Georgian President Mikhail Saakashvili, pledging not to use force. The Russian president confirmed that his troops would pull out “from the zones adjacent to South Ossetia and Abkhazia to the line preceding the start of hostilities”. “This withdrawal will be implemented within 10 days after the deployment in these zones of international mechanisms, including not less than 200 observers from the European Union, which must take place not later than 1 October 2008,” he said. But he was uncompromising in his tone towards the Georgian government and the US. The two leaders took part in more than three hours of talks, which also involved the EU foreign policy chief, Javier Solana, and the European Commission head, Jose Manuel Barroso. 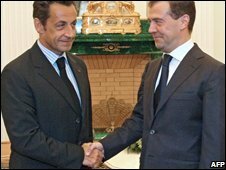 Mr Sarkozy, who was pressing Russia to meet the terms of a ceasefire agreement he helped broker on 12 August, described the meeting as “fruitful”. He said the exact details of the Geneva talks were still under discussion, stressing that the issue of refugees returning to their homes would be at the heart of the meeting. Russia’s call for international talks on the status of the two breakaway regions – part of the 12 August ceasefire deal – proved highly controversial. President Saakashvili flatly rejected attempts to throw their status into doubt. Mr Sarkozy will now fly to Tbilisi and run through the latest deal with Mr Saakashvili. Russian troops entered Georgia on 7 August after responding to Georgian attempts to reassert its control in South Ossetia. The two regions have had de facto independence since a civil war in the early 1990s, and Moscow has strongly backed their breakaway governments. 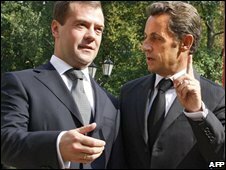 French President Nicolas Sarkozy is due to arrive in Moscow for talks with the Russian President Dmitry Medvedev about the crisis in Georgia. 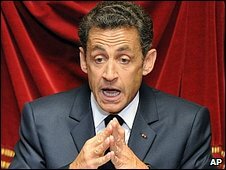 Mr Sarkozy is expected to press Russia to fully implement a peace plan he brokered to end the fighting. Meanwhile, Georgia has gone to the UN’s highest court over what it claims are Russian human rights abuses. Judges at the International Court of Justice in the Hague are being asked to impose emergency measures to halt what Georgia says is a campaign of ethnic cleansing by Russia in the breakaway regions of South Ossetia and Abkhazia. 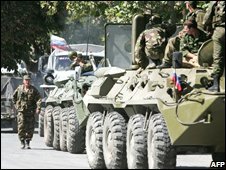 Russian forces remain in South Ossetia and large parts of Georgian territory after it responded heavily to Georgian attempts last month to recapture the separatist region. After talks in Moscow, the three senior European figures are due to go on to the Georgian capital, Tblisi, to meet President Mikhail Saakashvili. Russia says it is honoring the terms of a six-point plan agreed to end the conflict. However, European nations do not agree. President Sarkozy wants Russian troops to pull back from their current positions in Georgia – well beyond the boundaries of South Ossetia and Abkhazia. The European trio is also expected to press the Russians on arrangements for a strengthened international effort to monitor developments on the ground. Some European leaders have already warned that there can be “no business as usual” with Russia until the peace plan is fully implemented, and the European Union has suspended talks on a new partnership agreement with Moscow. Russia’s recognition of Abkhazia and South Ossetia as independent states, and its continuing failure to implement the agreement to the letter, will have profound consequences for Russian relations with the EU.